Brisbane Patios offers a full range of maintenance services including deck staining and oiling, tiled decks, privacy screens, lighting and handrails. We finish off our jobs with staining and oiling if requested by the customer. 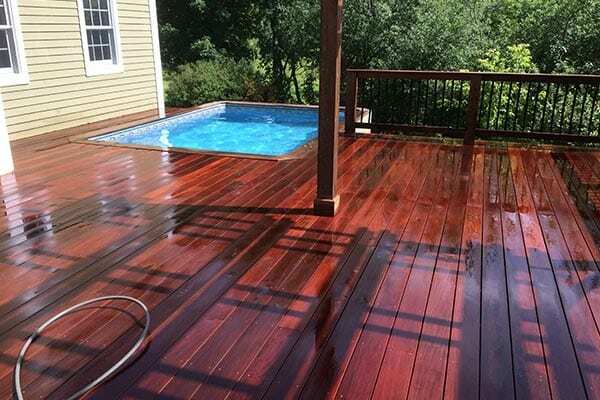 The finish we use will be dictated by the type of material used on the deck, and it is suggested that you continue to stain and oil your deck at least every 12 months. We offer this service to both existing customers and to new customers that might also have that requirement. We will come out to sand, repair and recoat your timber deck whenever you require, so you can eat, drink and be merry, never needing to worry about the hard work. Just enjoy your timber decking with worry free barbeques, family gatherings and Queensland summer sunsets for you. We can also build tiled decks to your specific requirements, they’re an excellent option if you want a waterproofed area to be underneath your new deck. 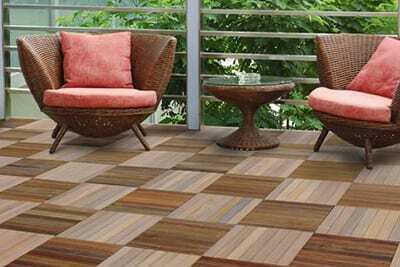 Another advantage of tiled decks is that they can be placed over existing timber decks with a small effort by simply placing fibro cement sheet and then gluing on the desired tiles. They can also be used to fit around difficult areas such as pipes or into obscure areas. Tiled decks are also very easy to clean, and maintain as well as repair and are very durable. 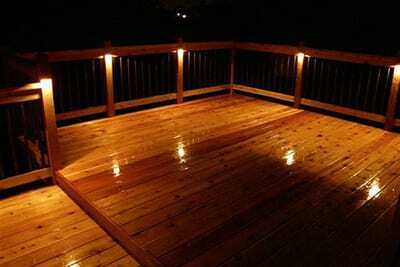 Most decks require a good preservative oil on them every 6 to 12 months. A tiled deck however just needs a wash with water or sweep with a broom. Privacy Screens provide protection against the external elements such as the wind and also rain. They also provide privacy from next door neighbours as their name suggests. Timber slat screens and fences are a great way to add that “something” to your entertaining area or property in general! We offer a wide range of slatted timber or aluminium screens and fences to suit your needs. Types of timber slats come in varying thickness and widths and many choices of timber. Aluminium privacy screens are available in a huge range of colours including timber look. Add an extra level of ‘wow’ factor to you entertainment area by strategically incorporated LED up lights organised by our experienced decking team. When building your deck you will help you choose your handrails according to the style of your house and also the type of deck you are building. As licensed carpenters, we uphold the highest level of building and design standards, as well as adhere to industry best practices. 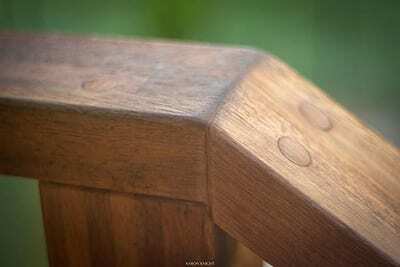 We use high quality materials and all our workmanship is guaranteed. We pride ourselves as decking and patio specialists because we know what to do and what we do we do well. We consider ourselves ‘outdoor people’, because our entire focus is on the design, construction and improvement of outdoors areas, creating timber structures that are designed to serve a practical purpose.